1. In Outlook, point to Macro on the Tools menu and then click Visual Basic Editor. 2. On the Tools menu, click References. Use the References dialog box to set a reference to the Microsoft Word 10.0 Object Library. Click OK.
3. 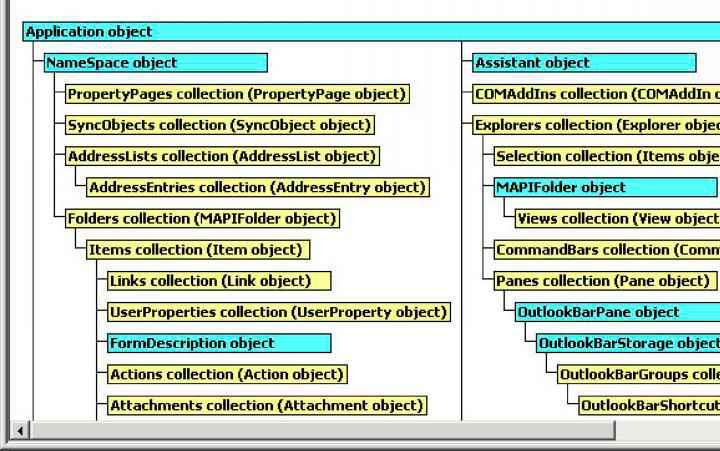 Select Projectl in the Project Explorer. If you want to insert a new module, click Module on the Insert menu of the VBA Editor window. Otherwise, double-click the name of the module where you want to insert the macro in the Project Explorer window. 4. On the Insert menu, click Procedure. 5. In the Name box, type LaunchWordMail for the macro name, as shown in Figure 9-5. The name cannot contain spaces. 7. The LaunchWordMail Sub procedure appears in the Code window.